Jira is a proprietary issue tracking product, developed by Atlassian. It provides bug tracking, issue tracking, and project management functions. It is used by over 25,000 customers in 122 countries around the globe. JIRA Workflow is one of the administrative utility for JIRA administrators for managing their task hierarchy. 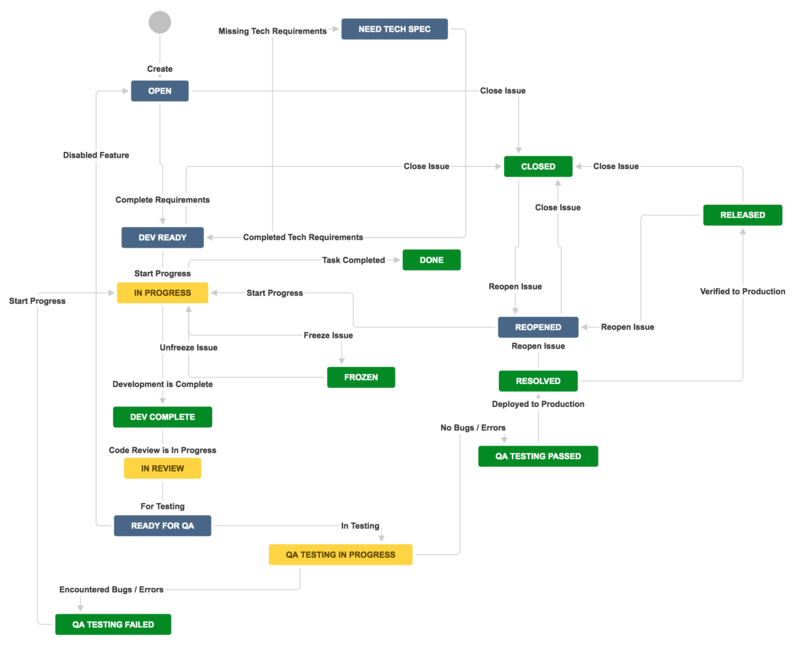 This blog is to specifically help JIRA based organisations to manage their workflow mechanism to achieve a matured and structured project tracking and management system. NOTE: If you are reading this blog, then it is assumed that you have knowledge about what JIRA does and why it is used. The context is to help the software development and quality analyst (QA) teams to start functioning on the core system rather than drawing their workflow which is sought of standardised across the companies.